Athens, Greece, Jul 3, 2017 / 11:21 am (Church Pop).- Pope Francis has donated 50 thousand euros to the island of Lesbos, Greece, which is recovering from a June earthquake. The donation comes just a few days after the Holy Father received a full report on the extent of the damage. 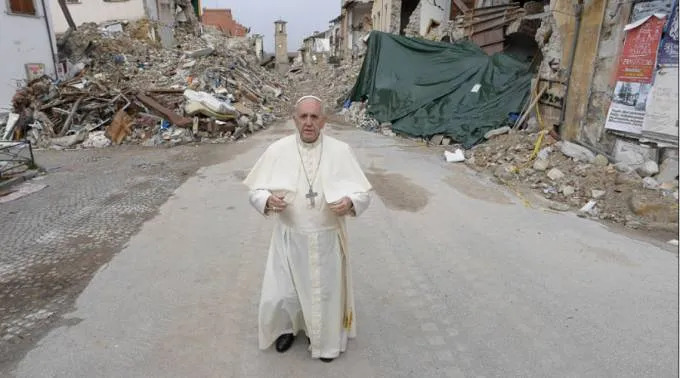 Archbishop Nikolaos Printezis, Bishop of Naxos, Andros, Tinos and Mykonos, said the Pope’s donation was a sign of the closeness of the Pontiff to the people who have suffered the consequences of the earthquake. On June 12, a powerful earthquake measuring 6.3 hit the western coast of Turkey and the Greek island of Lesbos , killing one person, displacing approximately 800, and destroying infrastructure from the Turkish Aegean province, Izmir, to the Greek capital, Athens. The earthquake’s epicenter was located about 50 miles northwest of the Turkish coastal city of Smyrna and nine miles south of Lesbos, according to the European Mediterranean Seismological Center (EMSC). Pope Francis visited the island of Lesbos in 2016, as it is a main point of entry for thousands of refugees fleeing violence in places such as Iraq and Syria. During that trip, Pope Francis brought back 12 Syrian refugees with him, selected by lottery, including six children. Their homes had been bombed, and the Vatican oversaw their resettlement. Currently, there are 3,500 migrants on Lesbos awaiting the outcome of asylum applications or deportation. According to the New York Times, aid workers reported no damage or injuries at the refugee camps due to the earthquake. In the coming days a Vatican representative will visit Lesbos and deliver the money donated by the Pope. Vatican City, Sep 30, 2017 / 10:08 am (CNA/EWTN News).- Pope Francis on Saturday told mayors that they must go to those on the margins of their communities in order to learn how to best serve the common good, including the needs of the poor, unemployed, and migrants and refugees. 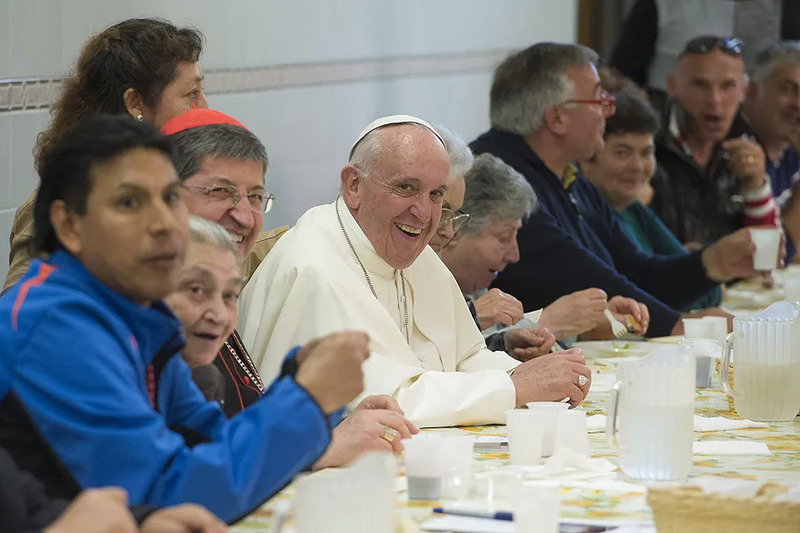 “To you, mayors, let me say, as a brother: You must frequent the peripheries, those urban, those social and those existential,” the Pope said Sept. 30. To do so is to learn from the best school, he continued, because it teaches us about the real needs of people, shows us injustice, and helps us to build better communities, where everyone is recognized as a person and citizen. “I think about the situation in which the availability and quality of services is lacking, and new pockets of poverty and marginalization are formed,” he said. This is where a city becomes divided, he said: on one side of the highway are the secure and well-off and on the other are the poor and unemployed – including families and migrants who have no support. Pope Francis’ speech was made in an audience with Italian mayors, members of the National Association of Italian Towns (ANCI), in the Clementine Hall of the Vatican Sept. 30. In the audience he spoke about the specific issue of immigration, saying that he understands that many people are uncomfortable in the face of the massive arrival of migrants and refugees. This discomfort is understandable, he said, especially when there is innate fear of the “stranger,” and the already-present wounds of economic crisis, lack of community, and inadequate response to emergencies by the government. 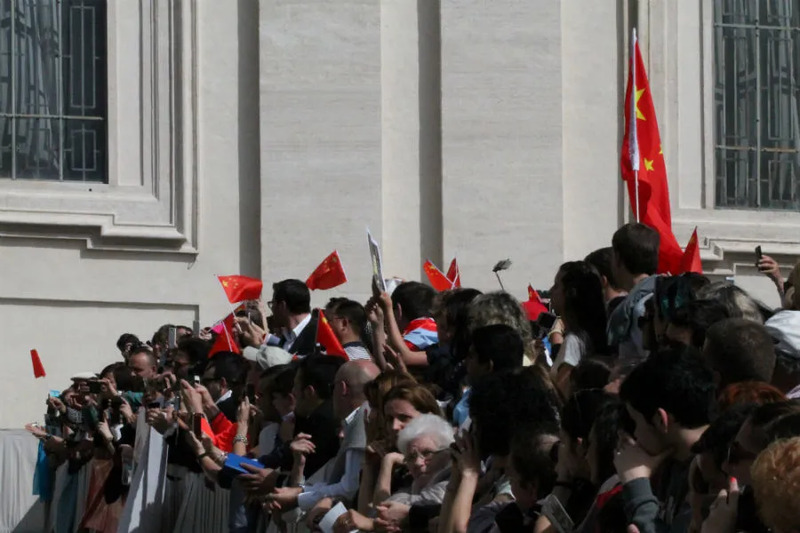 Francis said that these challenges can only be overcome through personal encounter, including the mutual exchange of artistic and cultural riches, as well as the knowledge of people’s places and communities of origin. “I am delighted to hear that many of the local administrations represented here can be among the main advocates of good reception and integration practices, with encouraging results that deserve broad dissemination. I hope that many follow your example,” he said. If a mayor is close to his or her people, directing everything toward the common good, then things will go well, he continued. Pope Francis also spoke about the symbol of the city as it is found in Sacred Scripture. At the beginning of the Bible we hear the story of the history of Babel, a city “unfinished, destined to remain in the memory of humanity as a symbol of confusion and loss, presumption and division, of that inability to understand that makes any common work impossible,” he said. It is significant, the Pope continued, that the image of the city recurs throughout Sacred Scripture. It teaches us that human society can only stand when rested on the foundation of true solidarity. Envy, unbridled ambition and a spirit of adversity, on the other hand, condemn us to the violence of chaos. To move away from this we need a politics and economy centered on ethics, “an ethics of responsibility, relationships, community and the environment,” he said. “I would like to talk to you about a city that puts the public well-being above private interests, not allowing corruption or the privatization of public spaces, where the ‘us’ is ‘reduced to slogans, to rhetorical artifice that masks the interests of few,'” he said. It is this view that helps people to grow in dignity. “It promotes social justice, therefore labor, services, opportunities,” he said. Vatican City, Apr 2, 2017 / 01:24 am (CNA/EWTN News).- On Saturday, Pope Francis moved the responsibility for Catholic shrines to be under the Congregation for the Promotion of the New Evangelization, stating that shrines, as sacred places, are especially suitable to conversion and the strengthening of faith. April 1 the Pope issued the edict – called a motu proprio – formally moving the competency of shrines from the Congregation for Clergy to the Vatican department on the New Evangelization. “The large influx of pilgrims, the humble and simple prayer of God’s people alternating in the liturgical celebrations, the fulfillment of so many graces that many believers certify that they have received and the natural beauty of these places allow you to see how the shrines…express an irreplaceable opportunity for evangelization in our time,” Francis states in the letter. According to the document, titled “Ecclesia in Sanctuarium,” the tasks of the congregation will include: the establishment of new national and international shrines, studying and implementing measures for promoting their role in evangelization, and promoting systematic pastoral care of the shrines and specific training for those who operate them. They will also be in charge of the promotion of national and international meetings to promote communal pastoral renewal and pilgrimages to various shrines, spiritual guidance for pilgrims, and “cultural and artistic enhancement of the Shrines according to the via pulchritudinis (way of beauty) as a particular mode of evangelization of the Church,” Pope Francis said. Shrines and other places of pilgrimage “despite the crisis of faith that invests the contemporary world, are still perceived as sacred spaces to which pilgrims go to find a moment of rest, silence and contemplation in the often hectic life of today,” the letter continues. 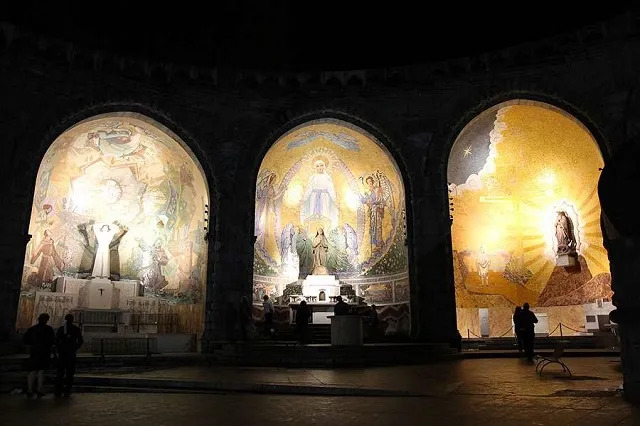 The shrine is a “sacred place,” where the celebration of the sacraments, especially Reconciliation and the Eucharist, as well as the witness of charity, “express the great commitment of the Church for evangelization; and therefore it stands as a genuine place of evangelization…” he stated. The proclamation, which was signed by Pope Francis on Feb. 11, the Feast of Our Lady of Lourdes, goes into effect 15 days from its publication. Also April 1, the Vatican announced the Pope’s appointment of 11 new members to the Congregation for Clergy, including Fr. Hans Zollner SJ, who heads the Center for Child Protection (CCP) at the Pontifical Gregorian University in Rome and is also a member of the Vatican’s Pontifical Commission for the Protection of Minors. Francis’ appointment of Fr. Zollner to the Congregation for Clergy reinforces his strong commitment to fight abuse, especially at the level of priestly formation. The other nominations to the department include seven priests, one archbishop and two lay professors. Their names are: Archbishop Erio Castellucci, Arcchbishop of Modena-Nonantola; Fr. Maurice Monier, Pro-Dean of the Roman Rota; Msgr. Vito Angelo Todisco, Prelate Auditor of the Roman Rota; Fr. Bruno Esposito, O.P., professor at the Pontifical University of St. Thomas Aquinas; Fr. George Augustin, S.A.C., dogmatic theologian; Fr. Ennio Apeciti, Rector of the Pontifical Lombard Seminary; Fr. Janusz Kowal, S.I., professor at the Pontifical Gregorian University; Fr. Marko Ivan Rupnik, S.I., consultor of the Pontifical Council for the Promotion of the New Evangelization; Professor Luigi Janiri, specializing in psychiatry and psychopathology at the University of the Sacred Heart; Professor Paolo Papanti-Pelletier, judge of the Court of Vatican City State. So, we are treated to an article blowing the trumpet for Bergoglio’s contribution of 50,000 Euros to Lesbos. Where is the companion article that tabulates the tens of millions of Euros that he squanders on his junkets to Ireland and the Baltic states?